maybe sill warring back and forth across these grounds? I am not your historian. I am no Coddington, Gallhager or Dreese. 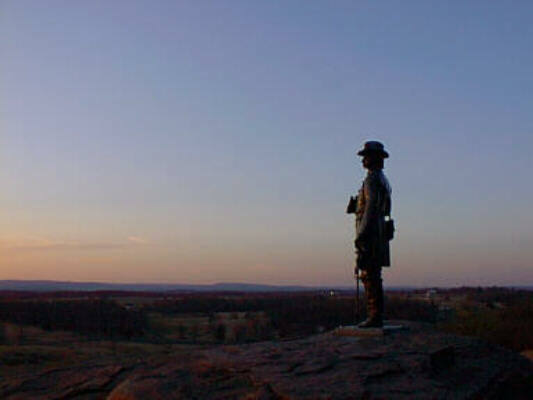 --For Gettysburg related links, go here. Would you like to be notified when the site is updated? Click here. Nothing in this site is copyrighted. It's that simple. Every picture (minus the images used as links) and every word is my own. I love them like my children. But cannot own them. If you feel the desire to print out my words and sell them as your own, by all means, do so. If you feel the desire to print out my words and burn them, do so as well. I cannot and would not stop you. Out of kindness, I do hope that if you plan on using my words you would contact me and give me proper credit. But neither are expected. Most of all, please take what you can get from these words. They are not profound, they are hardly touching, but they are everything to me. I can only thank you endlessly for reading. This page is dedicated to those who there gave their lives or saw their comrades give theirs. The GuestBook works now so feel free to sign it. This page last updated on 09.15.00. What's new? Go here and find out! 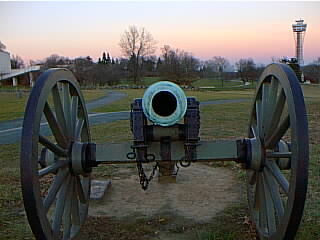 This Civil War Art site owned by Eric Swanger. Want to join the Civil War Art Webring? Want to join the Iron Brigade Ring? I encourage any and all comments. Please contact me.